It may be cherry blossom season in Washington D.C. but one need only drive to Grand Rapids to get into the White House. 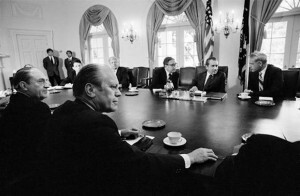 The Gerald Ford Presidential Museum not only has a walk-in replica of the Oval Office but is also now exhibiting the behind closed doors, insider pictures taken by Pulitzer Prize winning photojournalist David Hume Kennerly. But Kennerly had already won the Pulitzer Prize for his battlefield work during the Vietnam War and had a great job at Time Magazine photographing big events like the Ali-Liston heavyweight title bout. It is ironic Ford mentioned Air Force One given what would eventually (and infamously) happen to him while descending from the aircraft; a slip-and-fall he took in stride, according to Kennerly. 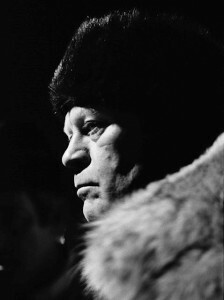 Ford and his family members were active skiers and golfers known to travel to the Vail, Colorado and Palm Springs, California resort areas. One of the photos in the exhibit was taken of Ford at Grand Rapids Airport. 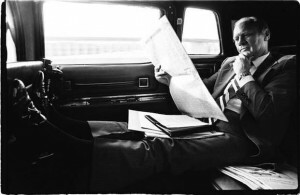 Thanks to the award-winning eye and shutter of Kennerly, visitors to the Gerald Ford Presidential Museum in Grand Rapids can see that moment and other personal peeks of Ford, too daily until 5 p.m. Museum admission is $8 for adults and $4 for children. Plan ahead at FordLibraryMuseum.com.